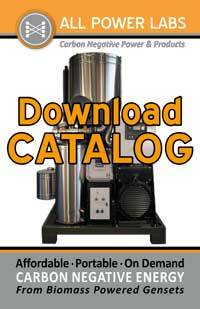 Do you own a GEK Gasifier or Power Pallet from ALL Power Labs? If you do and are having difficulty with your product, please use this form to let us know. We do love to hear from our customers and will gladly contact you to make sure your issue is solved quickly and efficiently. But using this form first makes it dramatically easier (and faster!) to address your issue. Thanks! !